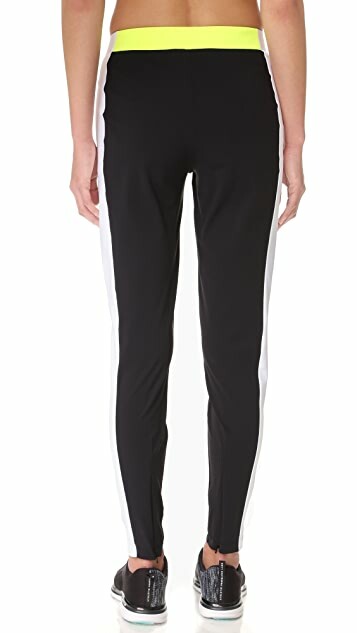 Colorblocked Monreal London track pants in a refined, slim silhouette. On-seam zip hip pockets. Covered elastic waist. Shorts lining. 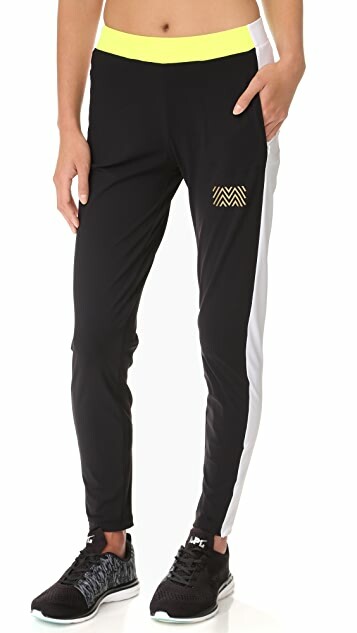 Founded in 2013 by German designer and tennis enthusiast Stefani Grosse, Monreal London activewear is made for athletes who dress well and play hard. The brand fuses trend with tradition, offering luxury athleticwear that stands out and caters to the demands of the tennis court. 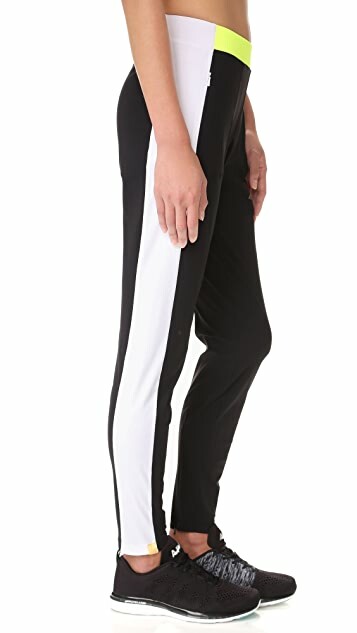 Monreal London tennis clothing is crafted from high-performance Italian fabric and smartly detailed for function and comfort, achieving a win for stylish, active women worldwide.